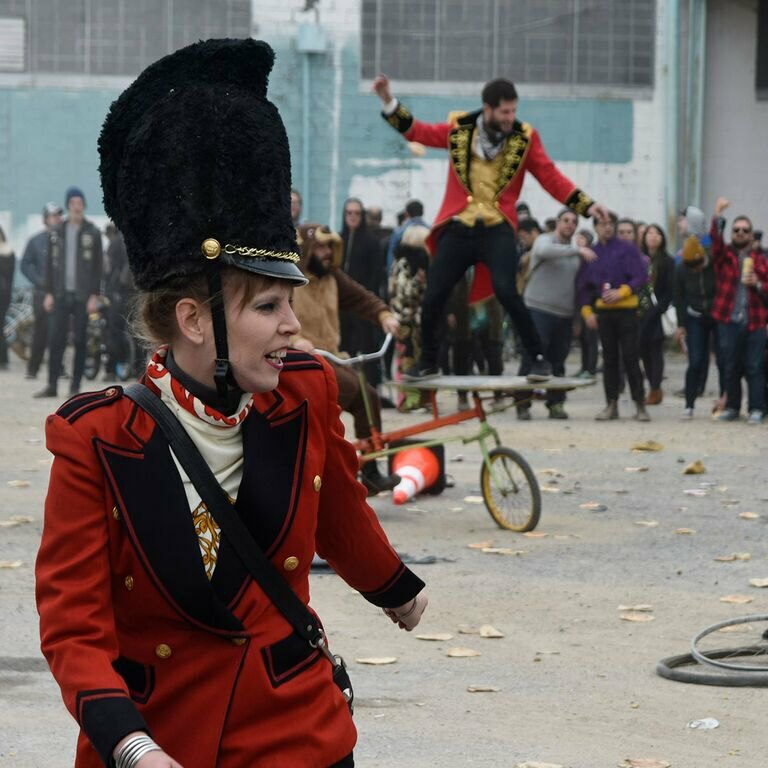 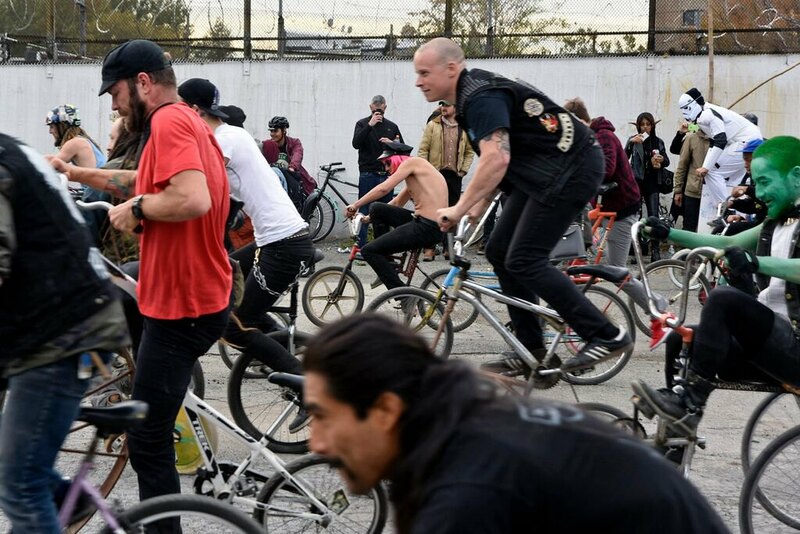 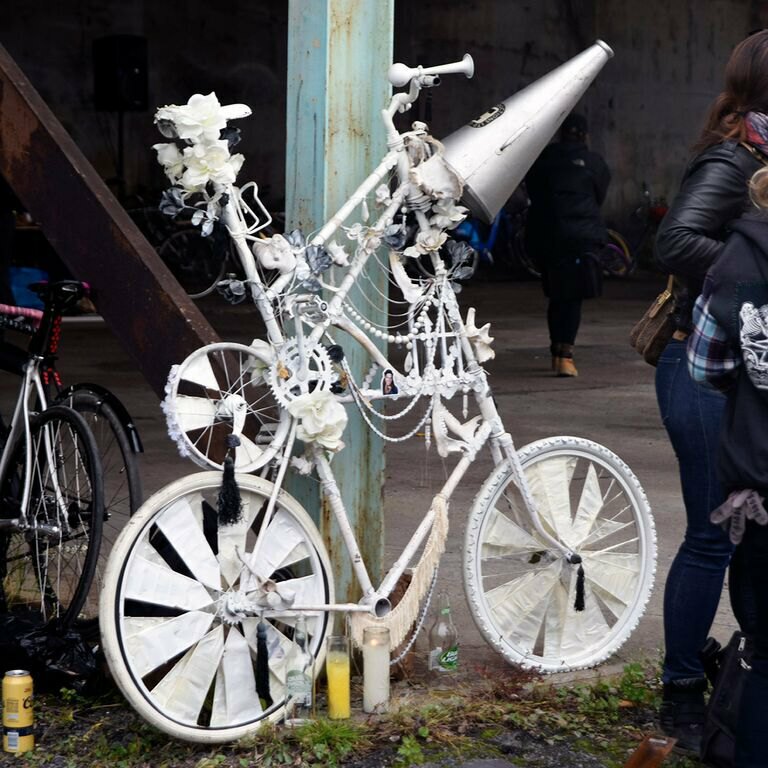 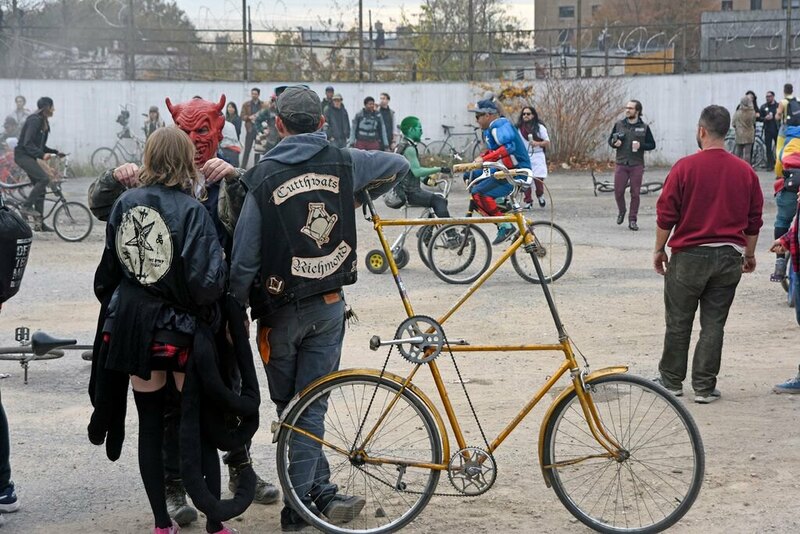 Returning to an industrial lot in Bushwick, Black Label Bike Club brought its insanely popular Bike Kill back, this time on Halloween, as if its participants needed another excuse to dress crazy and act weird. 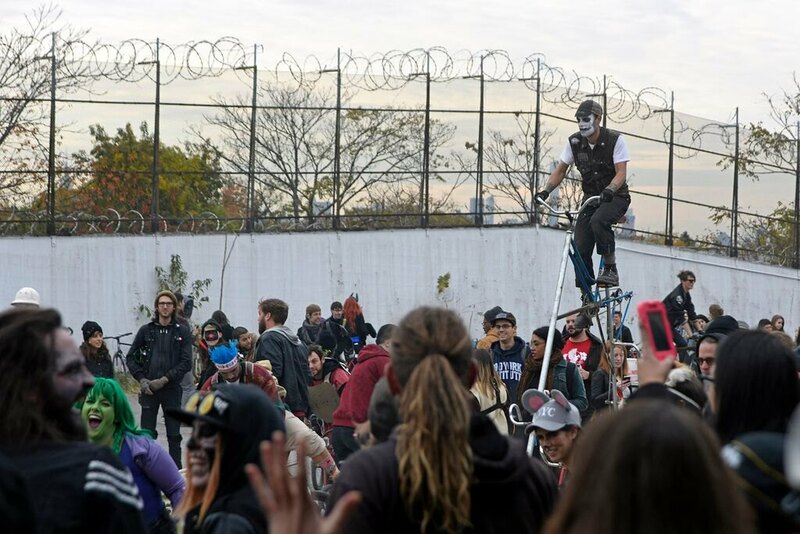 While held at a secret location, word must have leaked as this year's event was four or five times bigger than last year's. 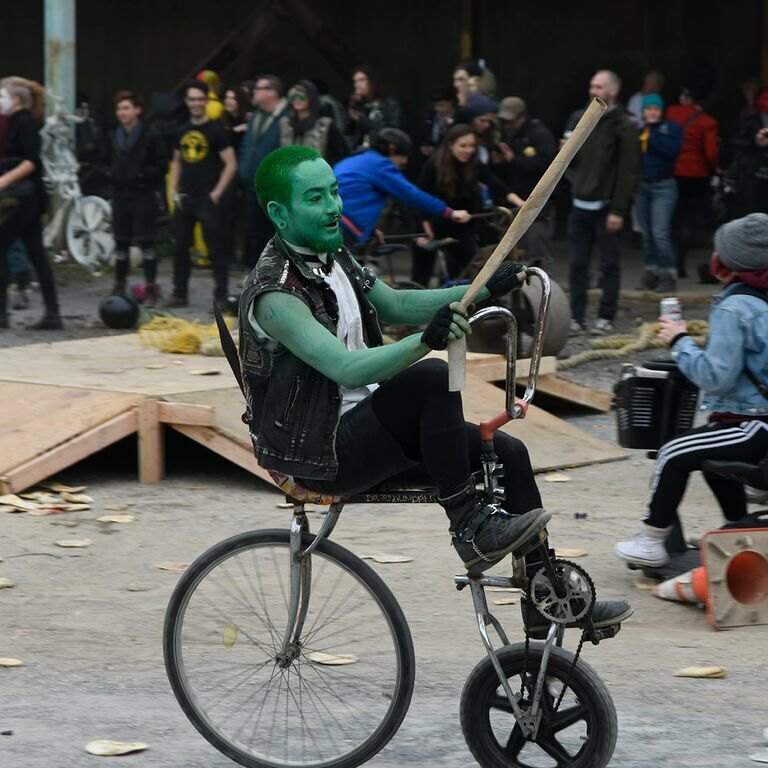 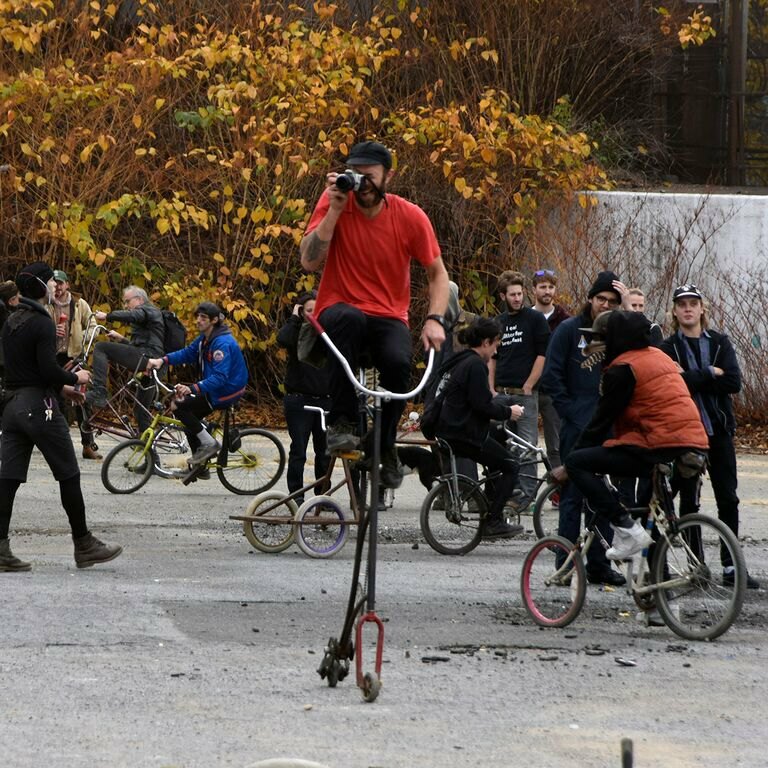 Held in a parking lot of a burned out building next to a cemetery, bike enthusiasts came out in droves to showcase their crazy contraptions as well as their costumes. 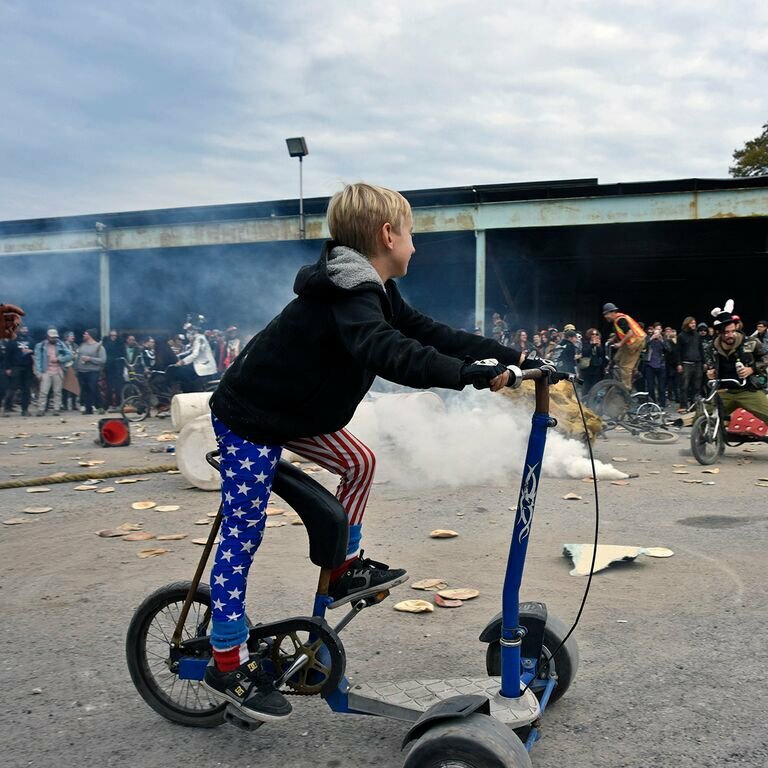 The crowd favorite seemed to have been the double-deck Road Warrior contraption with six peddlers and someone swinging in the middle. 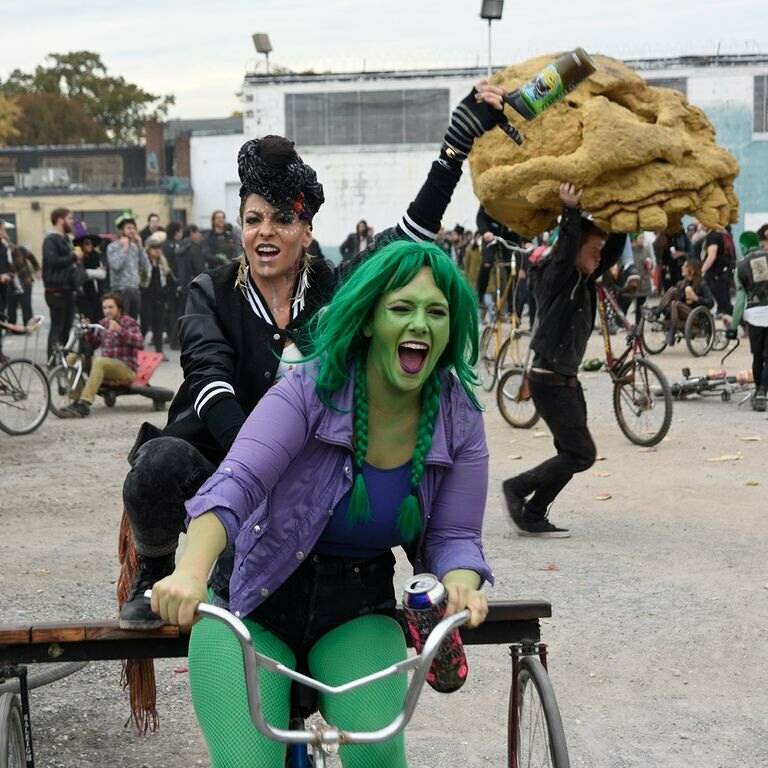 In addition to the traditional pita bread frisbees flying everywhere and the foam rubber skull and barrels tossed at riders, this year saw a huge ship's rope that would be dragged across the ground trapping people and bikes. 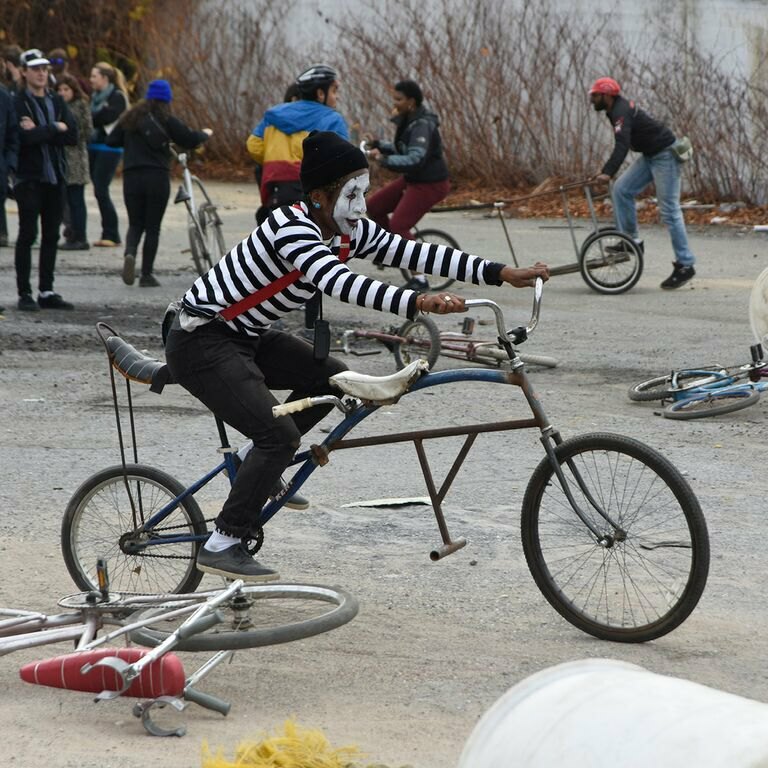 It all ended after dark with bike jousting. 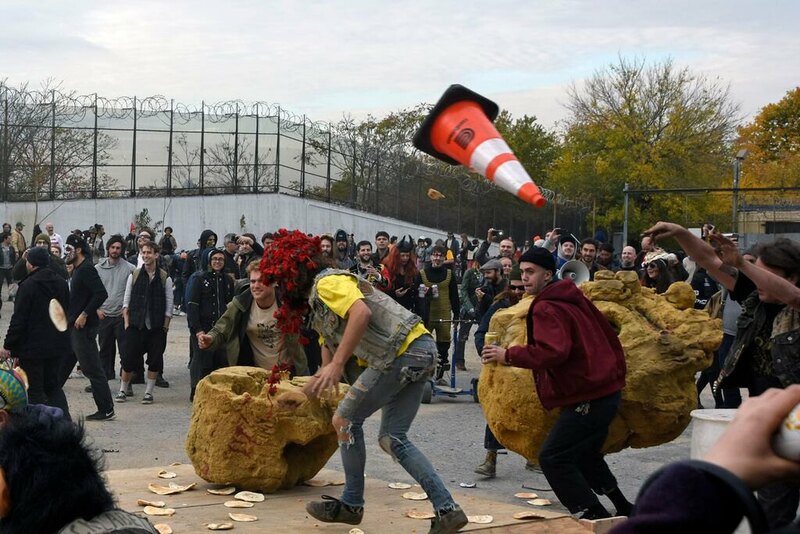 Check out photos below.